The MINI Countryman takes the hallmark driving fun of the brand into a new dimension. This is the first MINI to come with four doors and a large tail gateas well as a versatile interior offering space for up to five people. The MINI Countryman is the first member of the MINI family with a body measuring more than four metres (157") in length and which can be ordered as an option with all-wheel drive. With these features, in addition to the Countryman’s raised seating position and optimised ride comfort, the world’s only premium vehicle of its kind crosses the boundaries of urban mobility to take the trademark MINI feeling into new dimensions and win over additional target groups. The latest generation of petrol and diesel engines. Three petrol and two diesel engines will be available at launch. 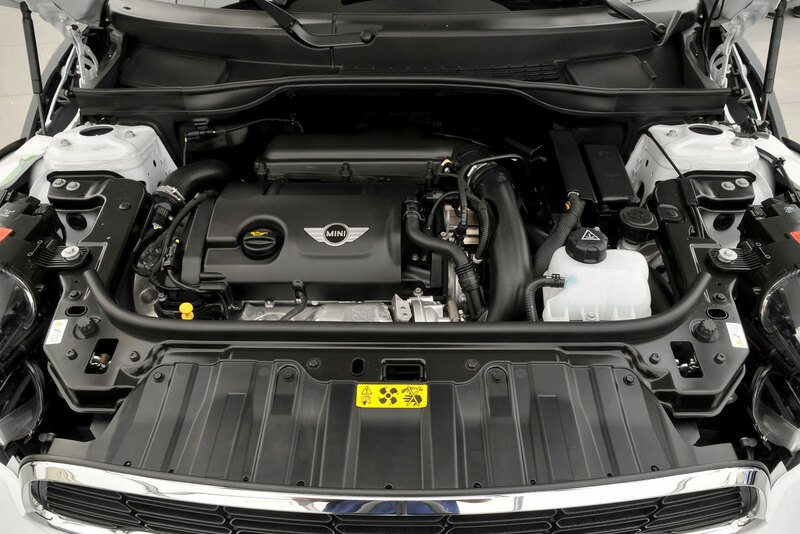 The selection of petrol variants ranges from the MINI One Countryman developing 72 kW/98 hp and MINI Cooper Countryman (90 kW/122 hp) to the 135 kW/184 hp MINI Cooper S Countryman, whose 1.6-litre four-cylinder engine is the most efficient unit in its displacement class. 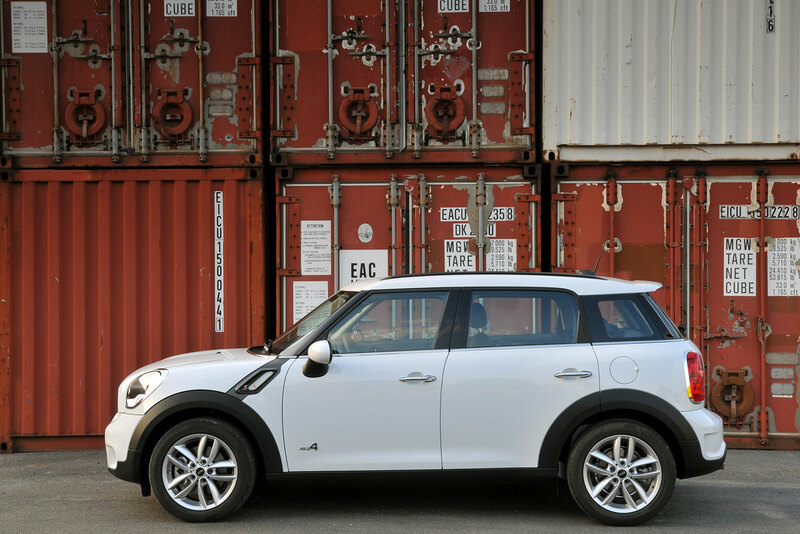 The petrol models are joined in the line-up by the diesel-powered MINI One D Countryman (66 kW/90 hp) and MINI Cooper D Countryman (82 kW/112 hp). 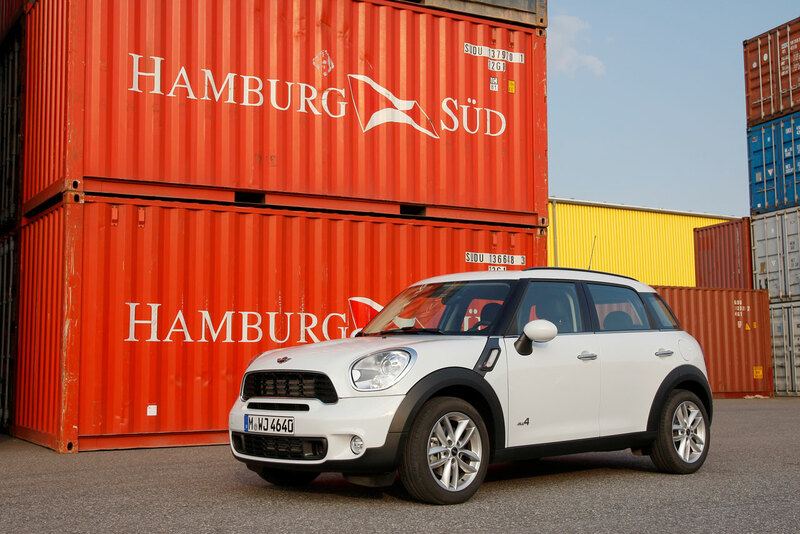 All variants of the MINI Countryman meet the EU5 exhaust gas standard in Europe and the ULEV II standard in the USA. MINI ALL4: Breaking new ground in driving fun. Optional MINI ALL4 all-wheel drive allows the driving fun you expect from the brand to be experienced off the beaten track as well. The permanent all-wheel-drive system’s quick and precise responses to changing conditions provide a new, traction-led expression of the handling talents for which MINI is famed. An electromagnetic centre differential positioned directly on the final drive varies the distribution of power seamlessly between the front and rear axles. The ALL4 system is available for the MINI Cooper S Countryman and MINI Cooper D Countryman. 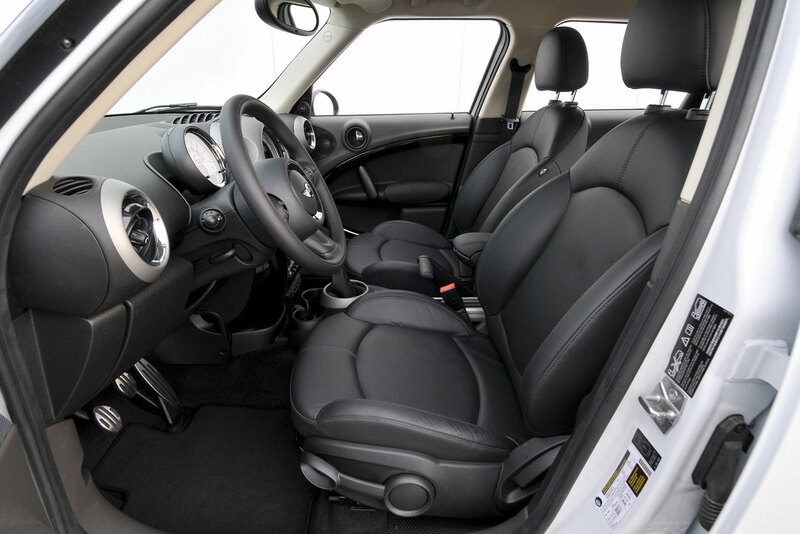 Newly developed suspension combines quintessential MINI agility with outstanding ride comfort. With its precise handling and captivating agility, the MINI Countryman transplants the driving characteristics associated with the brand into a new vehicle concept. These attributes are complemented by outstanding ride comfort, equipping the Countryman perfectly for a wider range of usage. Underpinning this is sophisticated new suspension technology, which includes a front axle with MacPherson spring struts and forged track control arms, multi-link rear suspension and the electromechanical power steering system EPS. 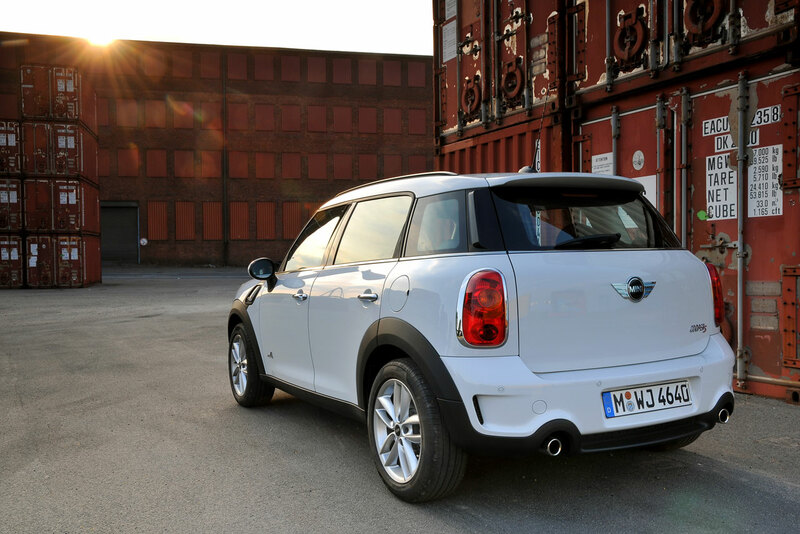 The MINI Countryman comes as standard with the Dynamic Stability Control (DSC) system. Design: Undeniably an individualist, unmistakably a MINI. 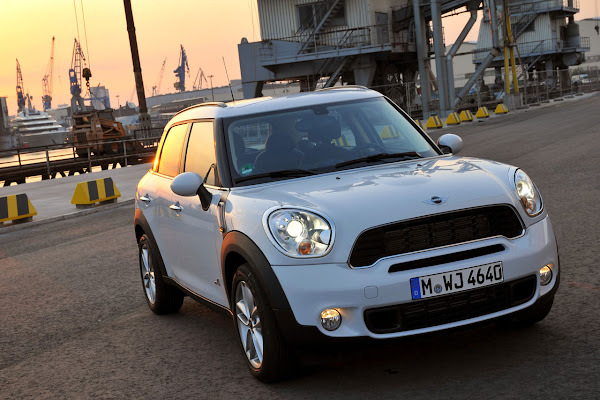 The MINI Countryman exudes an air of originality, robustness and versatility. Four doors and a large tailgate, a striking roof shape and an upright front end reinforce its status as an individualist within the MINI ranks. Other distinctive features are its MINI proportions and design cues. Short overhangs, a high window line, the wrap-around look of the windows and the car’s powerful over-the-wheel stance create a familiar appearance transplanted onto larger exterior dimensions. Elsewhere, the Countryman provides a fresh interpretation of characteristic MINI features, such as the hexagonal radiator grille, large headlights set into the bonnet, side indicator surrounds, voluminous wheel arches and vertical rear light clusters. Versatility and innovative details deliver cutting-edge functionality. 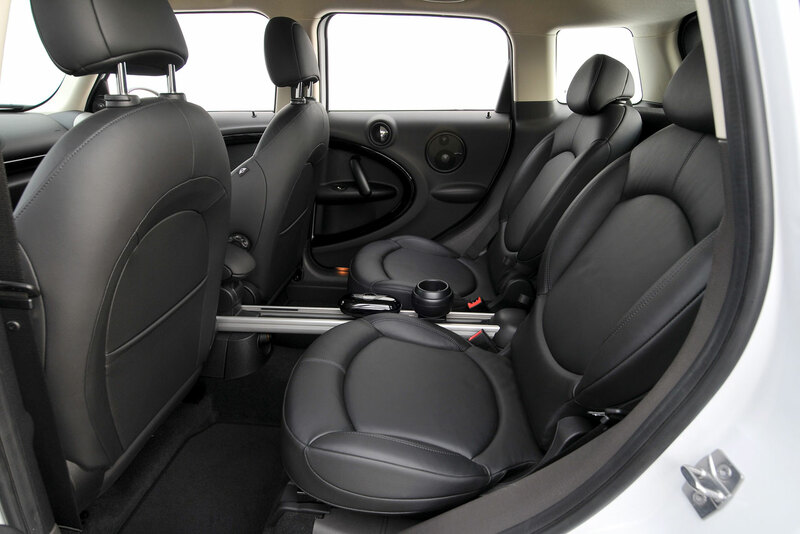 The rear of the MINI Countryman can be specified with two individual seats or – as a no-cost option – a seat bench for three passengers. The rear seats slide fore-and-aft individually or in a 60 : 40 split (three-seat bench), the angle of the backrests can be adjusted, and the backrests can be folded down either individually or in a 40 : 20 : 40 split (three-seat bench) – all of which allows luggage capacity to be increased from 350 litres to a maximum 1,170 litres (12.4 to 41.3 cu ft). 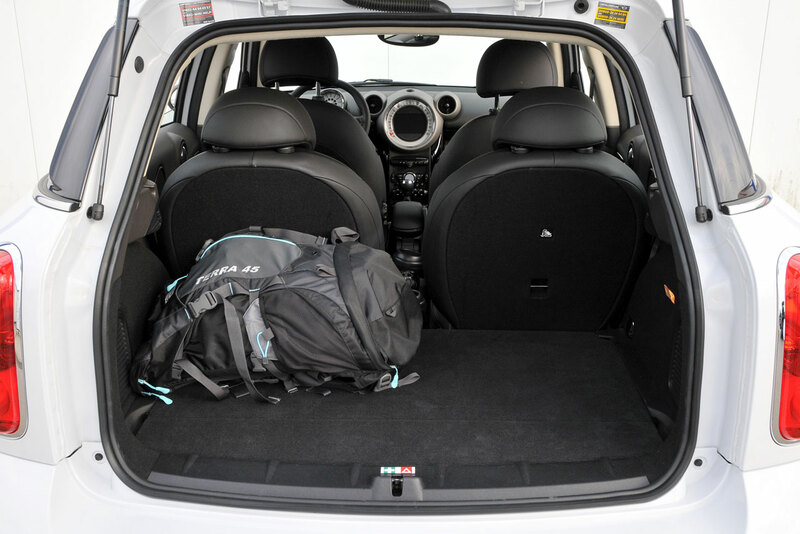 The MINI Countryman is also fitted as standard with the innovative Centre Rail storage and fastening system. Top-class standard equipment, premiere for MINI Connected. The list of standard equipment for the MINI Countryman includes air conditioning and a CD audio system. A wide range of customisation options are also available, such as exterior paint finishes and interior colours designed exclusively for the Countryman, a host of upholstery variants, trim elements and model-specific equipment items, and high-quality audio and navigation systems. 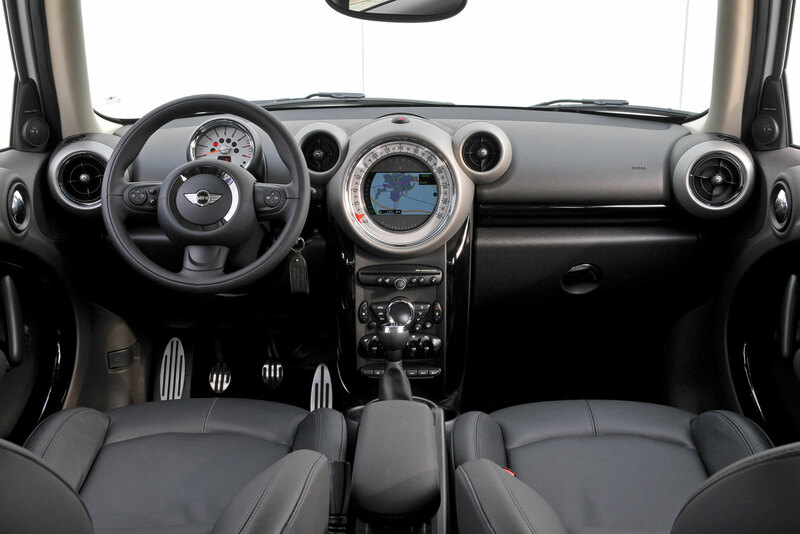 A further in-car entertainment highlight is the unique MINI Connected system, which includes the web radio and Mission Control functions.